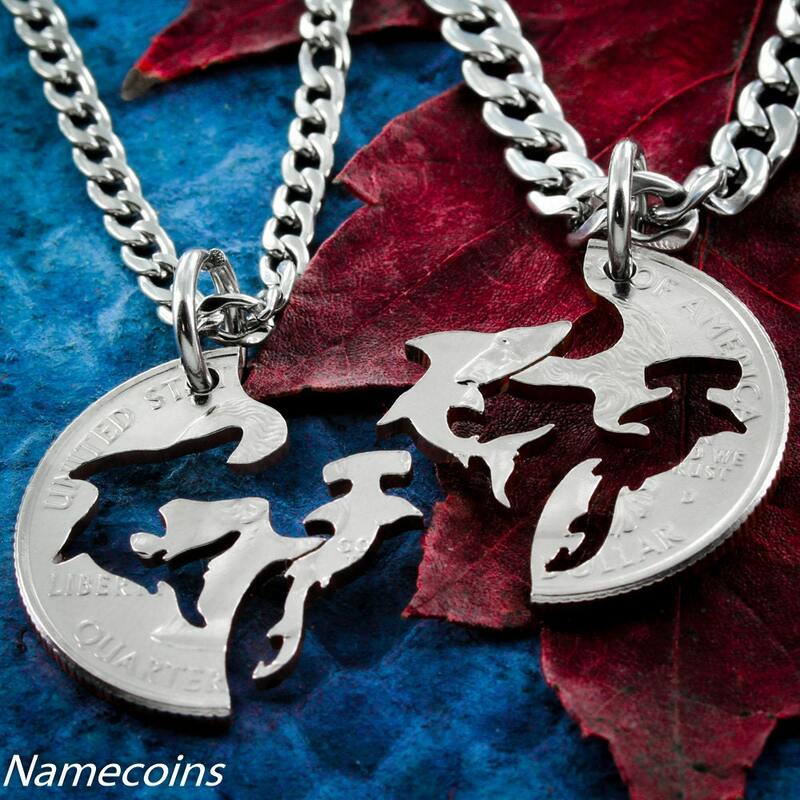 Theses necklaces are cut into 2 sharks. 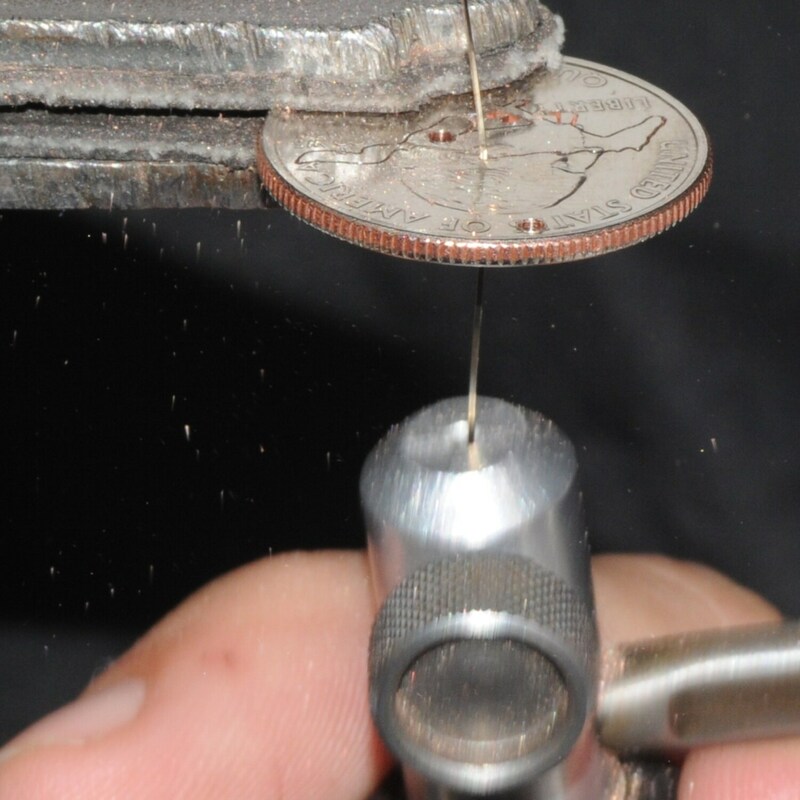 They are cut from the same coin and interlock perfectly together. They are cut entirely by hand with a jewelers saw. Beautiful necklaces and fantastic shop. 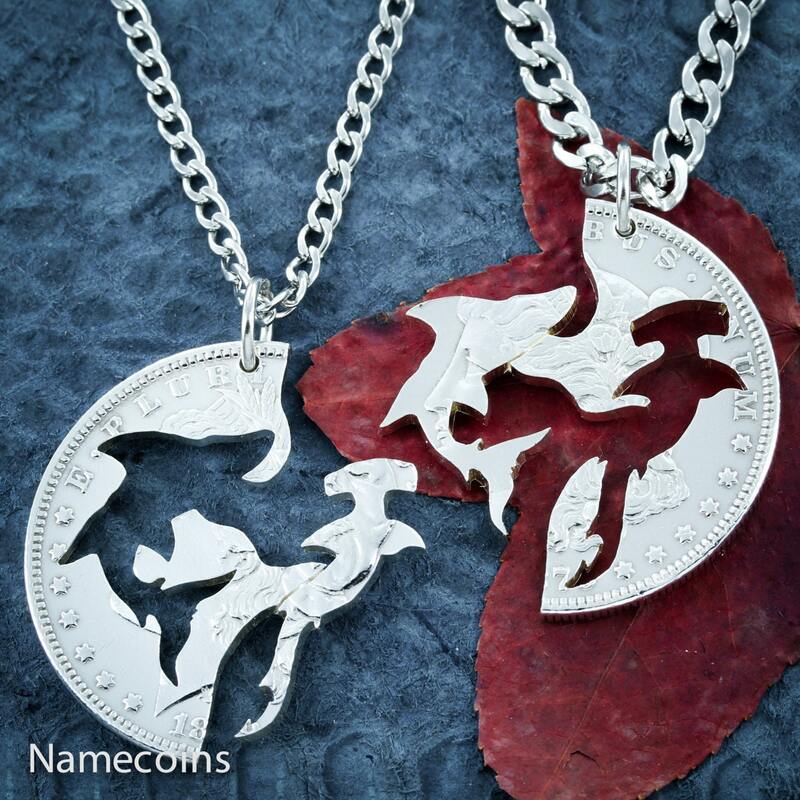 Great customer service, a problem came up with my necklaces and NameCoins was very helpful, and we got it resolved quickly. Will order from this shop again. Such a unique and well-made piece! I bought these for my boyfriend and I as an anniversary gift and have yet to give the other one to him but I'm so excited with how they came out. 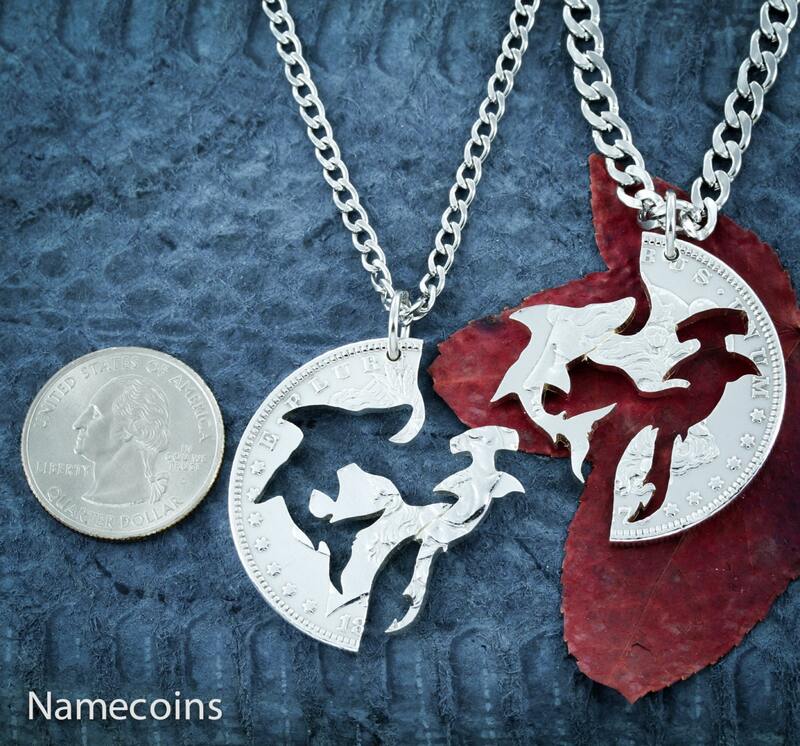 I splurged a little and got these necklaces in a silver half dollar because I have a nickel allergy and I wanted something that would stay good-looking. 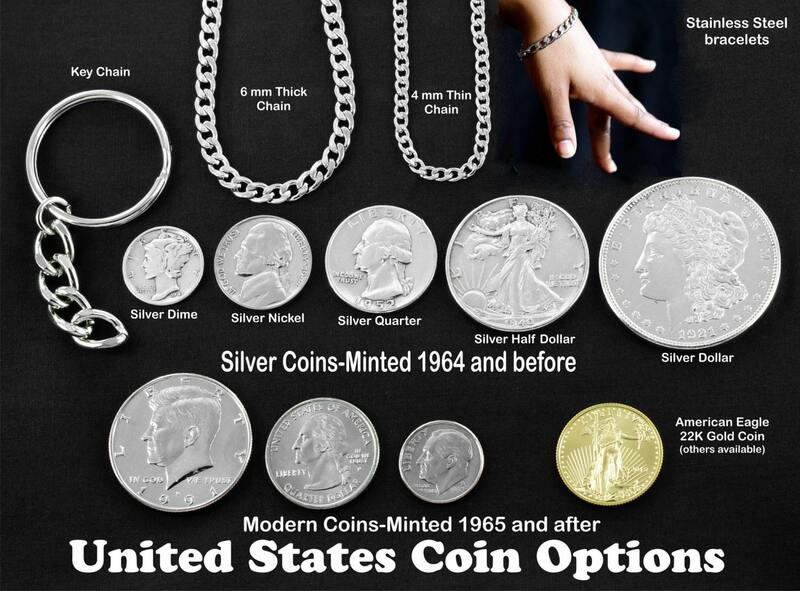 Also because I figured the design would be showcased a little more and that a bigger coin would look a little more masculine (since I'm unsure as to what the standards of men's jewelry are and he's not a guy who's ever owned any). On top of them being awesome, the shipping was insanely quick. I received them over a week sooner than expected. Love love love! Super fast seller! Amazing quality!! !